Introducing the GQ series power supplies from EVGA. 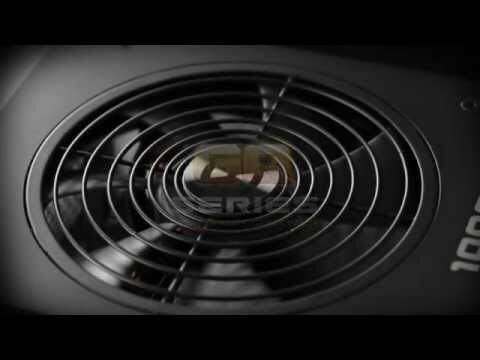 The 650GQ takes some of the best features from EVGA's award winning power supplies, like EVGA ECO fan mode for near silent operation, Japanese Capacitor Design and a highly efficient design, at an excellent value. This power supply is 80PLUS GOLD rated and offer an outstanding 5 Year Warranty that’s backed by world class EVGA support. Run multiple NVIDIA graphics cards for the ultimate gaming experience. The SuperNOVA 650 GQ gives you the power you need to drive these demanding systems and achieve the best overclocks. 650W EVGA GQ Series, 80PLUS Gold, Hybrid Modular, SLI/CrossFire, Single Rail, 54A +12V, 1x135mm Fan, ATX PSU is rated 5.0 out of 5 by 2. Rated 5 out of 5 by JonJonJon from Quality PSU Comes protected by dense foam all around in it's own snazzy box. Scan are always good with their packing too, so there's little chance of couriers mashing it. Installation is easy due to good cables. The modular ones are all ribbons, and are therefore most pliable. They're all long too - I didn't have to use a single extender in my Fractal Design R2 XL, and that's with all my drives up in the 5.25" bays. Cable management with this PSU is a doddle. Operation is as good as silent - I can't hear it at all. My last psu was an XFX with a faulty fan, rendering it the loudest part of the system. Now it's the slight noise of the case exhaust fan. I've got the PSU on eco mode, and I've no idea when the fan comes on because it's very quiet. Even on normal fan mode, I can only tell it's on if I remove the side panel and get my ear as close to the psu as possible without the CPU fan trying to eat my hair. Top marks. Rated 5 out of 5 by Sweatybrety from Great price for the quality only had this for 2 days but it feels like a quality power supply. Its near silent when browsing and while idle but its still very quiet when the fan spins up. comes with plenty of connectors that are all a decent length with plenty to spare even in my rather large silent base 800 case.